2019 will bring tons of new games you should play. 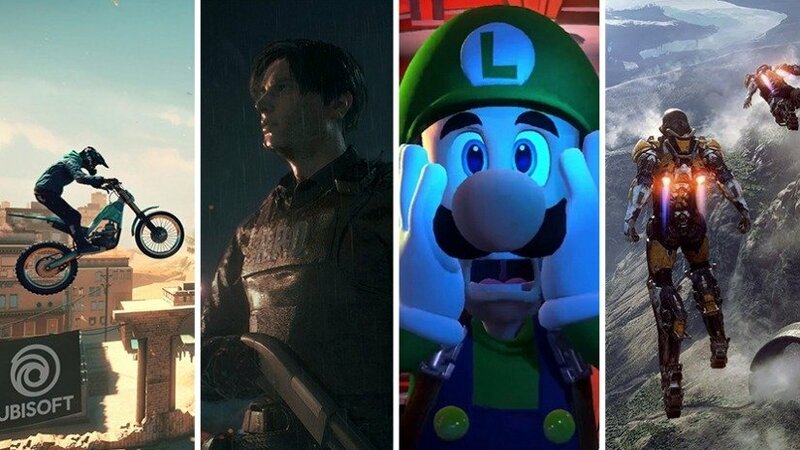 Here are 10 titles you can’t miss..
Get ready, because 2019 is shaping up to be a special year for video games. While it’s always possible for a year to take us by surprise in regards to how great it is for gaming or how bad it ends up being, you can generally tell when you’re going to have a marquee year. In the case of the formidable 2019, we get the feeling that it might be the last full year of the current console generation. Considering that the final years of consoles are often their best, there’s plenty of reason to believe that 2019 is going to be the final, victorious bow for this generation’s best developers. Besides, a quick look at the best video games coming out in 2019 reveals a variety of titles that rank near the top of our most-anticipated games. From beloved RPG developers branching out into online shooters to the return of one of the greatest horror games ever made, 2019 is loaded with the kind of games that make you grateful to be a gamer. First, though, we must share a brief explanation of our choices. While we’re just as excited as you are about games like Ghost of Tsushima, Cyberpunk 2077, Halo Infinite, and The Last of Us Part II — and fully believe that they will rank amongst the year’s best video games — there is currently no confirmation that those games will be released in 2019. As such, we are limiting this list to games that are currently scheduled for a 2019 release date. BioWare’s Anthem is the studio’s most talked about game in years, even if it’s not always being talked about for the reasons that BioWare and EA would like. Questions of micro transactions and originality still surround this title a year after it was first announced. 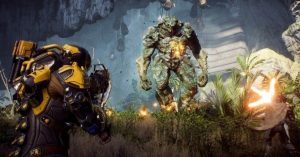 Yes, Anthem is certainly a departure for the house that RPGs built, but everything that developer BioWare has shown of this Destiny-like online experience suggests that this online multiplayer experience is exactly what they needed to get back on track. Can this online shooter learn from the mistakes of its predecessors and deliver the ultimate sci-fi shared world experience? We were starting to think that we’d never get another Battletoads game given that it’s been over 20 years since we’ve last received a new installment, but Rare is returning to the franchise that most people remember as one of the hardest games on the NES. 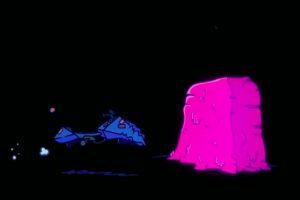 This new Battletoads might feature a slightly different art style and other modern improvements, but we fully expect it to be largely familiar to fans who have been waiting years for another co-op brawler from this beloved, and undeniably bizarre, series. 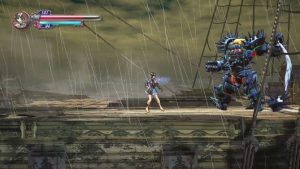 Since its Kickstarter debut, Bloodstained: Ritual of the Night‘s name has come second to that of its creator, Koji Igarashi. Many of you may remember Igarashi as the director of the revolutionary Castlevania: Symphony of the Night, and his return with a game that is very much in the spirit of his classic Castlevania tiles has been anticipated by genre fans for many years. While we have some concerns regarding the possibility that Ritual of the Night ends up being the next Mighty No. 9, the quality of this team’s side project – the 2D action/adventure title Bloodstained: Curse of the Moon – leads us to believe that these guys know what makes this genre tick and may be prepared to deliver something special. It’s been almost eight years since we last heard from the Crackdown series. There was a time when Microsoft’s hidden gem open-world title provided a breath of fresh air to the sub genre. Its outlandish, superhero-like game play afforded players the chance to just go wild in a metro setting. The open-world genre — and the world at large — has changed quite a bit, though. 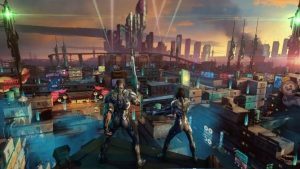 In order for Crackdown 3 to make the same impact that Crackdown protagonists make when they jump off the city’s highest buildings and crash onto the streets below, it’s going to have to invoke the casual game play of the first two games while finding a way to advance the game’s style just enough to make us feel that old joy of gallivanting around a superhero sandbox. In a world without Dark Souls and Bloodborne (at least for the foreseeable future), the time is now for an outsider to ascend the throne and rule the kingdom that From Software’s titles helped establish. To that end, it’s entirely possible that Code Vein may just become the next big game in this genre. 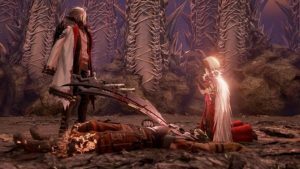 Code Vein is easily described as “anime Dark Souls.” It’s an over-the-top action-RPG that emphasizes an intricate combat system, character builds, and a sometimes punishing level of difficulty. It also adds a sometimes over-the-top style that is a far cry from Dark Souls‘ muted tones and grim atmosphere but just might be enough to help put this game over-the-top. Developer Remedy Entertainment remains one of the most exciting developers in gaming. What separates Remedy is the personality it infuses into its projects. There’s never been a pedestrian Remedy game, even if some of those games missed the mark in terms of their overall execution. From what we’ve seen of Control, we have no doubts that it will be full of Remedy’s trademark personality. It’s a bizarre psychological action title with supernatural elements that looks wonderfully eerie and exciting. 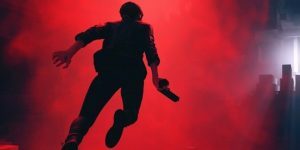 Even better, Remedy has promised that this game will be slightly more open than its previous, very linear titles. We’ll see whether or not that allows the studio to expand its creative borders. This remake of the original Crash Team Racing has a daunting task ahead of it. Somehow, it must please fans of the original surprise hit while winning over a generation that recently experienced the brilliant Mario Kart 8. We don’t envy the task ahead of developer Beenox. Yet, we’re optimistic the studio can pull it off. CTR has retained its popularity over the years because it’s a genuinely great racing game. Its fantastic modes and fascinating new mechanics help the game stand out among some considerable competition, and this remake seems to feature just enough new content to justify another lap no matter how familiar you may be with the original. We’d have a hard time arguing with anyone who calls Cuphead the Xbox One’s best exclusive title. Studio MDHR may have had to delay the game a few times, but the final product proved to be a gorgeous nod to both the era of 2D action titles and those classic animated adventures of the ‘30s and ‘40s. We won’t have to wait nearly as long for our next taste of Cuphead. 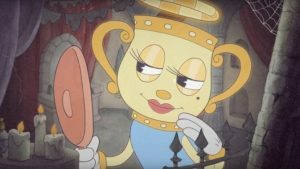 The Delicious Last Course may end up being the only Cuphead DLC release, but this massive second helping of Cuphead action should be enough to satisfy fans of the base game. With an entirely new island to explore and more incredible bosses to fight, The Delicious Last Course should prove to be a must-have. 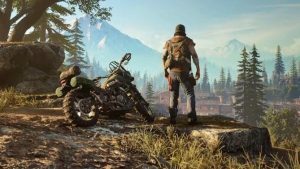 Days Gone remains the anomaly of what could be the PlayStation’s 4 final lineup of exclusive games. This post-apocalyptic open-world game has been shown at several Sony events in the past, but delays have pushed the game into the realm of doubt in the minds of some Sony fans. Despite those delays, Days Gone remains a promising experience. The star of this game seems to be its truly hostile open-world, which features all manner of monsters and men trying to end your already troubled existence. Days Gone may have slipped from the 2018 release schedule, but don’t let it fall off your radar. The Dead or Alive series has long existed in this strange plane of popularity and respect. Dating back to the brilliant Dead or Alive 2, the franchise has been seen as an often fun, sometimes excellent, sometimes sloppy, and usually beautiful experience. Yet, it’s never really received the respect that series like Street Fighter and Tekken typically garner. By slightly maturing the series’ game play and themes, Dead or Alive 6 is hoping to elevate the franchise to that level. 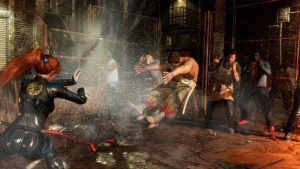 Dead or Alive 6 is a little more grown-up and slightly more complicated, but it still retains many of the key elements that have kept fans devoted to the Dead or Alive series for all these years. This list can go till infinity because we believe 2019 will be a year for gamer and there are so many more games lined up for 2019 and 2020 that any top 10 list makes no sense what so ever . We cannot help but wait for the all the games that are coming in 2019 .